How do I code it? Check out this page to learn more about coding the LEDs, or use the code references below. How do I code it? Learn more about the hardware of the pins here, or use the code references below. What is it? 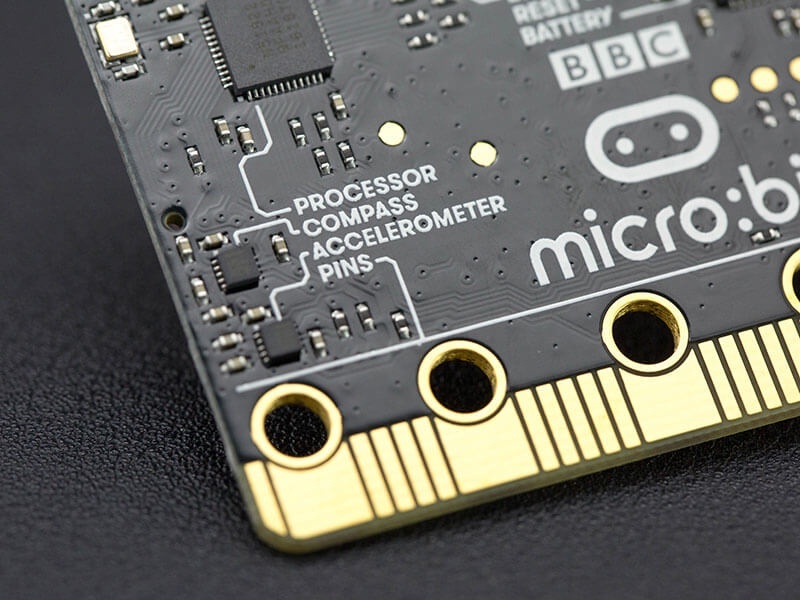 This sensor allows the micro:bit to detect the current ambient temperature, in degrees Celsius. 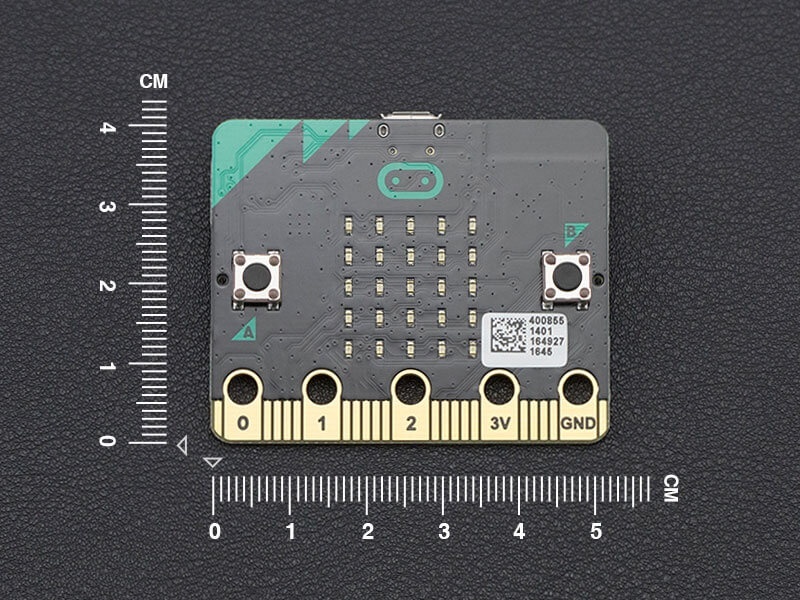 When the calibration begins, the micro:bit will scroll an instruction on the display for you - either "Draw a circle" or "Tilt to fill screen". To calibrate the compass, just follow these instructions and tilt the micro:bit to move the dot in the centre of the screen around until you have either drawn the outline of a circle, or filled up the whole screen. What is it? 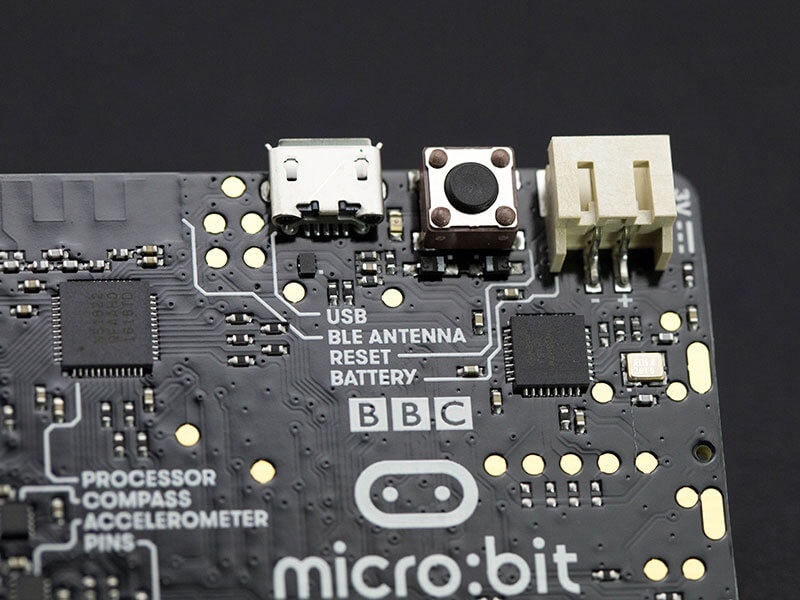 A BLE (Bluetooth Low Energy) antenna allows the micro:bit to send and receive Bluetooth signals. 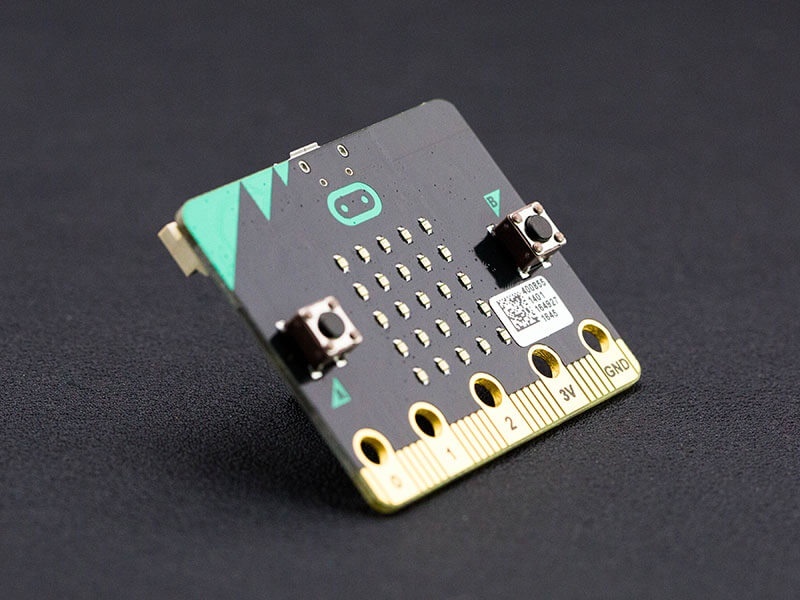 This allows the micro:bit to wirelessly communicate with PCs, Phones, and Tablets, so you can control your phone from your micro:bit and send code wirelessly to your device from your phone! 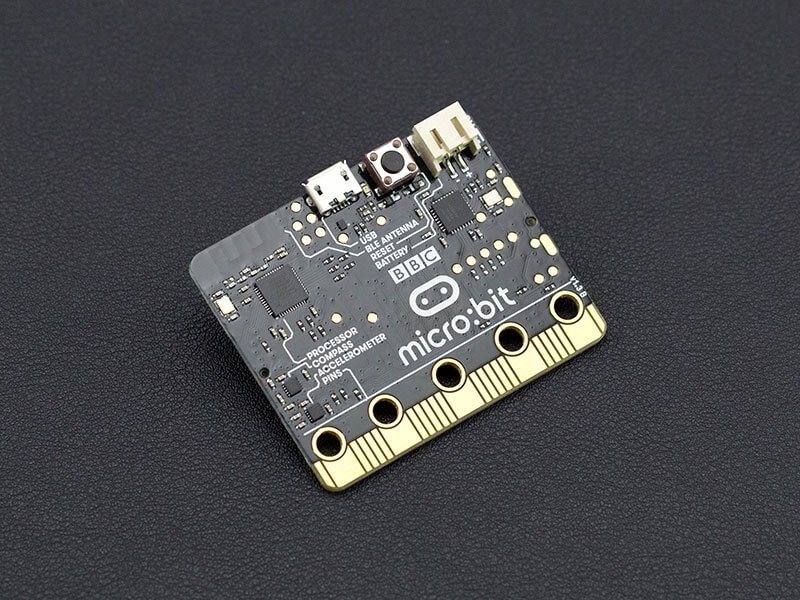 Before using the Bluetooth Antenna you will need to pair your micro:bit with another device. 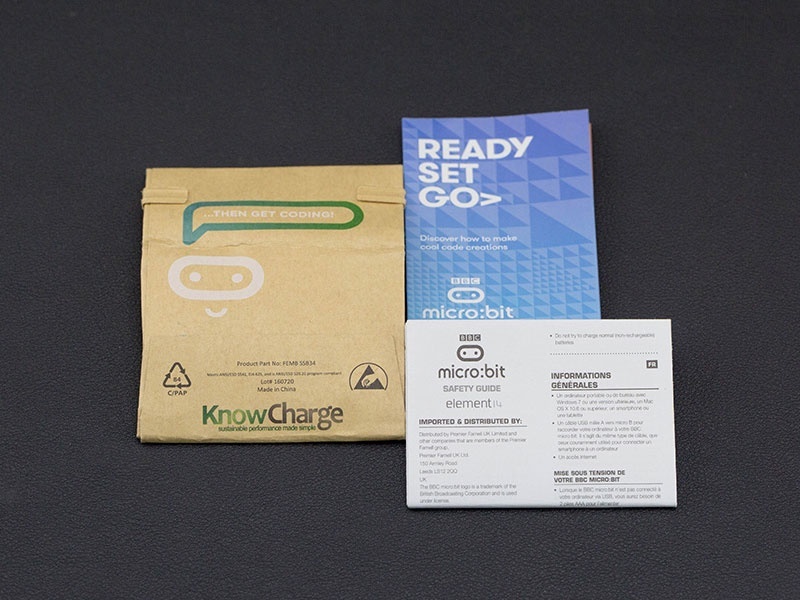 Once paired, you can send scripts wirelessly to your micro:bit - you can learn more about setting this up here. What can I do with it? 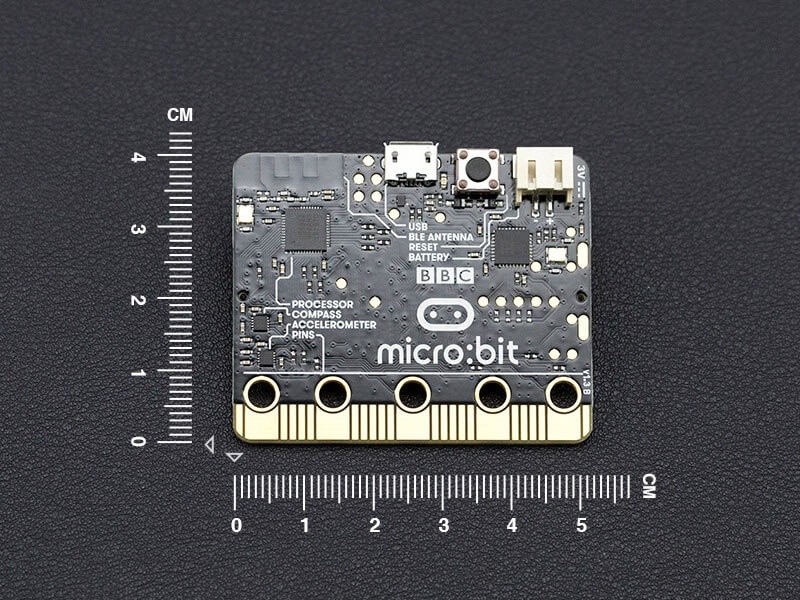 Send code to your micro:bit wirelessly - Learn More. What is it? 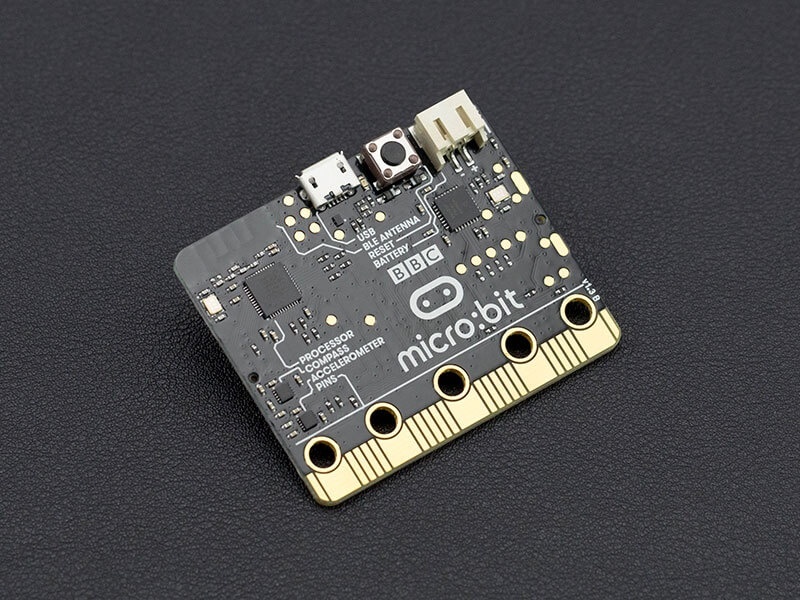 The USB interface allows you to connect the micro:bit to your computer via a micro-USB cable, which will power the device and allow you to download scripts onto the device. How do I use it? 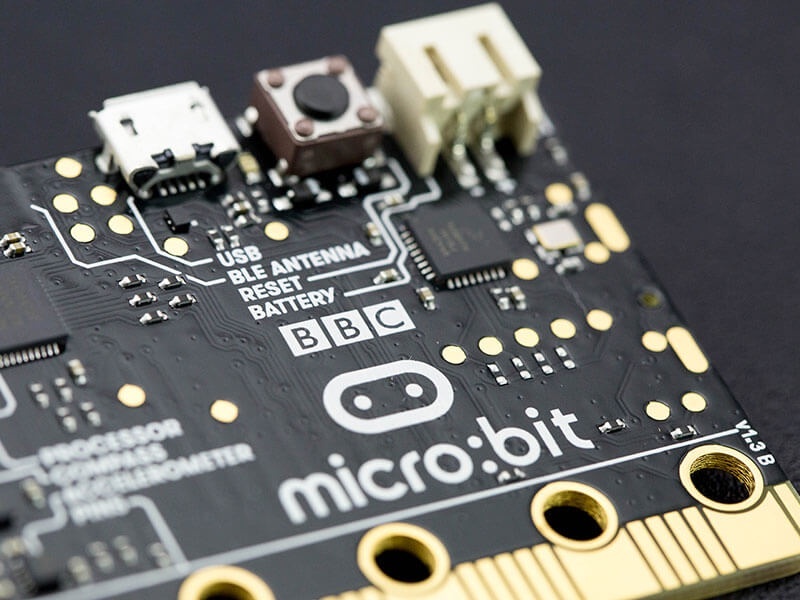 You can read more information on how to run scripts on your BBC micro:bit here, and about the error messages you might get here.